Bring wireless surround to your Samsung Sound Soundbar system with the SWA-9000S Wireless Rear Speakers accessory kit. Wireless Receiver Module, Surround Speaker (2EA), Power Cord, Speaker Cable (2EA), User Manual. Feel the action of your favorite movies, shows, and sports with dynamic, powerful bass. Advanced audio processing adapts Digital Theater System sound to your SAMSUNG 2.1 Channel 150W Soundbar System HW-MM36/ZA, creating a truly cinematic digital audio experience. 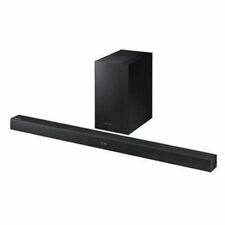 Lord Computer - Samsung 4.1 Channel 200W Soundbar System with Wireless Subwoofer - HW- KM38. Simply select the Soundbar for pairing and power it on automatically to play all your favorite music services and more. Use your Radiant360 Speaker as a Bluetooth 4.0 speaker to stream music from your smartphone, tablet, or computer. TV SoundConnect lets you instantly enjoy movies, music, and TV shows with clearer, more impactful sound. Njoy wireless audio streaming with the black Samsung HW-KM57C 460W 5.1-Channel Soundbar System. Bluetooth connectivity is built into the soundbar for wireless audio streaming from devices like MP3 players, smartphones, and tablets. Certified Refurbished w/ Warranty. Fast Free Shipping! Trending at $284.99eBay determines this price through a machine learned model of the product's sale prices within the last 90 days. Bluetooth connectivity. Bluetooth device. Sound Bar: 80W/CH, 4OHM, THD = 10%, 1kHz. 3D Sound Plus. Color: Black. TV, DVD or Blu-ray player with HDMI, optical, Aux jacks. Grade DD (Dinged & Dented) : Device will show significant signs of wear. Samsung Shape M5 Speaker open box. Shipped with USPS Priority Mail. 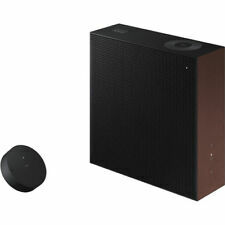 Soundbar: 35.8" Wx 2.8" D x 2.1" H. Subwoofer: 7" W x 11.8" D x 14.2" H. Connectivity: Wireless. Manufacturer: Samsung. 2.1 Channel. Salt Lake City, Utah 84116. Color: Black. 431 N Wright Brothers Drive. 1 x HW-M450 Soundbar. Item must be in original condition it was received not used or altered in any way with original box and accessories. Trending at $113.99eBay determines this price through a machine learned model of the product's sale prices within the last 90 days. 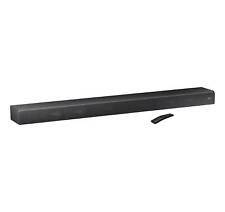 300w 2.1 Channel Soundbar With Wireless Subwoofer & Bluetooth. Subwoofer Type. This is a pre owned item in good working condition. Sound Quality. What is the history of the item?. We test them and picture their current condition. Model: WAM1500. Samsung Radiant R1. Genuine Samsung Product. DON'T PASS UP! we will always leave you satisfied. Our Policies. Samsung HW-F450 Powered Sound Bar. Condition is New. Shipped with USPS Priority Mail. 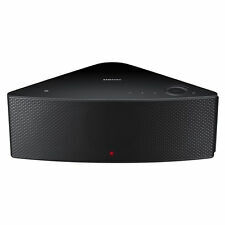 Enjoy wireless audio streaming with the Samsung HW-N950 Virtual 7.1.4-Channel Soundbar System. This system features Bluetooth connectivity for wireless audio streaming from devices like MP3 players, smartphones, and tablets. 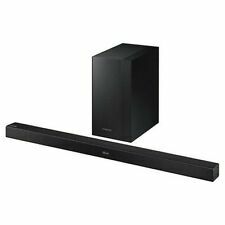 Samsung HW-M430 2.1-Channel Soundbar. Item has been tested and functions. Includes ONLY the subwoofer. They have been described to the best of my ability. All units have been thoroughly inspected. Great Condition - Includes Soundbar ONLY - Does NOT include subwoofer, power adapter, or any accessories. Samsung Subwoofer ONLY PS-WJ550 SEE PICS. Condition is Used. This is a liquidating item from a wholesale dealer in USA Please see pics what you see is what you get. Its compact size doesn’t compromise on bass quality with two built-in woofers that reveal deep bass. 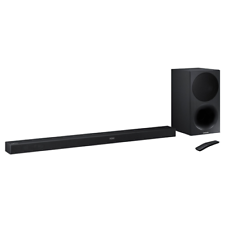 The compact Soundbar is a great way to upgrade a smaller TV to a cinematic surround sound experience, with options for optical connection or wireless Bluetooth pairing1. No other accessories included. Sold as pictured.